Who will be the Next AG ? Every Government wanted to have their ‘own men’ as ‘Law Officers’. In many cases, the survival and prestige of the Government depends on courtroom maneuverability of their law officers, hence it is natural that the new Government at centre must be extremely cautious in selecting fresh batch of Law Officers. Focusing on the legal team in the Supreme Court; it comprises of an Attorney General, one Solicitor General and a few unfixed number of Additional Solicitor Generals. All are given duty of defending the Government, but amongst these, the Attorney General is the only Constitutional post placing under Article 76. Apart from defending government’s actions, he plays very important advisory roles as well. His corresponding position at State level is Advocate General. Mr. G.E.Vahanvati is currently holding the post of an AG and he is set to resign any day. He served as the Advocate General of Maharashtra and then as the Solicitor General of India and later went on to become AG in UPA-II. As the AG his tenure is not devoid of controversies. His faux pass in Coal-Scam PIL and subsequent resignation of Addl.Solicitor General Hiren P Raval was the most controversial issue during his tenure. The ‘Caravan’, a National Magazine has published an exclusive article on AG and it is learned that Mr. G.E.Vahanvati has initiated defamation proceedings against Caravan for a very damaging story. Traditionally, every government chooses its own Attorney General to defend itself in important and constitutional matters and AG enjoys Cabinet Rank. Though AG is an important constitutional functionary, the low level functioning of many AG’s in the past have made the post as just a ‘Law Officer’. Earlier, Attorney Generals used to appear only in those matters where big constitutional questions are involved, but over a period of time, it is not uncommon to see that AG’s are appearing with a prayer to tag a matter with some other existing pending matter arising out a common judgment, which is considered to be a job of a ‘panel advocate’. As a matter of practice, the earlier crop of government law officers vacate their offices whenever there is a change in the Central Government. 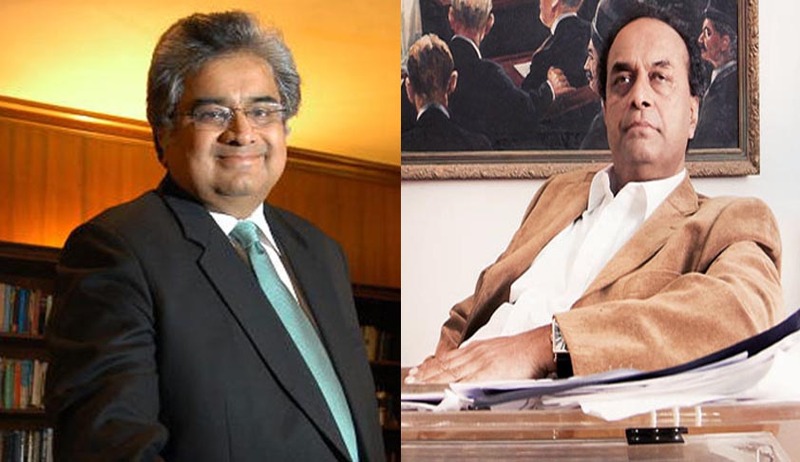 So, with the term of current AG ending and going, as per credible rumors floating across juridical pundits, the Modi Sarkar may likely to appoint one amongst the following senior advocates - Mr. Harish Salve, Mr. Mukul Rohtagi, U.U Lalit, Mr. Ranjit Kumar or the Advocate General of Gujarat Mr. Kamal Trivedi as the new AG. The current Solicitor General Mr. Mohan Parasaran has decided to vacate his office. Along with him few ASGs such as Mr. Paras Kuhad, Mr. Siddarth Luthra, Mr. L.N.Rao, Mr. K.V.Vishwanathan and Ms. Indira Jai Singh, who were appointees of UPA-II are likely to resign. If the equation of them with new powers that be is smooth, some of them are likely to continue. ASGs mainly deal with tax matters are not often removed. Addl.Soilicitor Generals are relatively smaller posts and many of them in the past are appointed as per the recommendations of Collation Partners. The allocation of cases to SG and Addl SGs is done by AG, and if you are not close to AG or Government, an ASG will have to satisfy with unimportant cases like service matters or some petty disputes of Union of India. Given the proximity of Mr Arun Jaitley with Mr Modi, who himself is a Senior Supreme Court Advocate, most of the appointments are likely to be as per the wishes of Mr. Jaitely. Since the new Government is likely to bring in a number of policies contrary to the ones followed so far, surely the AG as the captain of the ship will be chosen with the highest level of caution. There is a fixed fee structure for Government Law Officers to conduct the cases of Government and the fee structure is very low when compared to the fee they normally charge as a Senior Counsels. The fall in income is mostly compensated by taking up the cases of State Governments and Public Sector Undertakings, where they are free to charge like any other normal Senior Counsel.